MyPhotographysite: Try out this simple chilli paste which really pleases you when you don't get to eat TastyKhana. 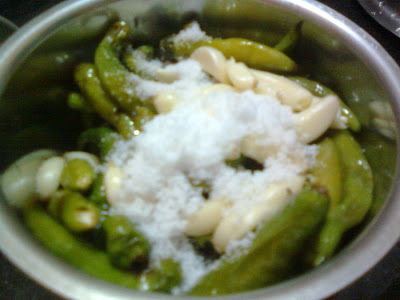 Try out this simple chilli paste which really pleases you when you don't get to eat TastyKhana. At times we are fed up with the regular type of meal menu at our home and sometimes in a restaurant. So here is a quick simple recipe which will add enormous taste to your khana (meal) and I assure you that you can prepare it in within minutes. 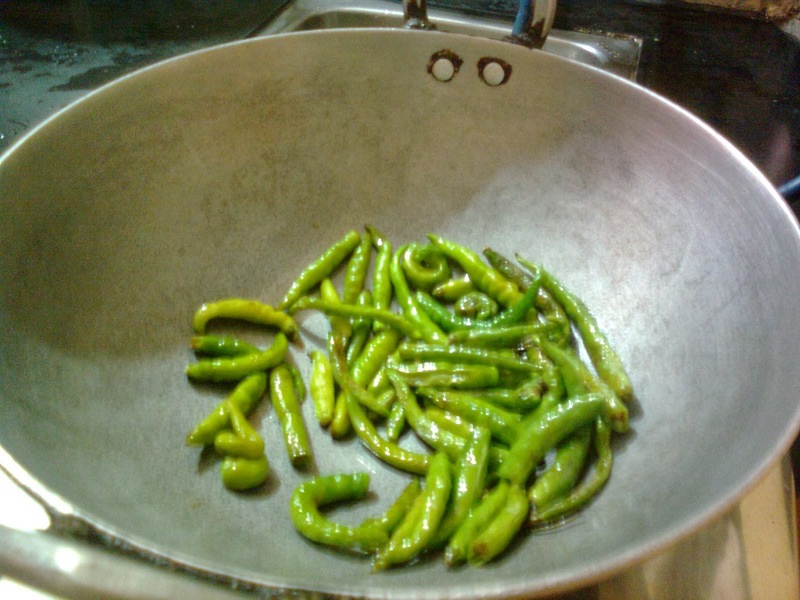 Here are the snaps of this simple green chilli paste in the making. Well the number count of chillies is greater than what I mentioned in the doodle recipe above since I wanted it to be the spiciest of all time. This chilli paste will help you to gallop a meal which is being cooked with less amount of spice. 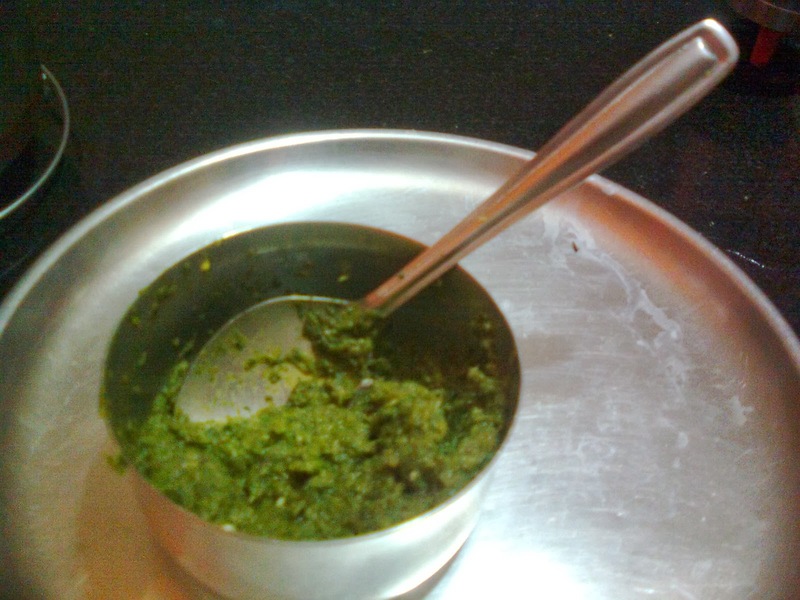 Also the above mentioned simple green chilli paste can be used in preparing any dish and the only thing you need to do is add this paste just after you crackle the popping seeds or at any time during the tadka procedure. This simple recipe will help you prepare tasty khana and at times you will love to have this paste instead of any vegetable in your meal. My Doodle recipe is a part of Easy Doodle Recipe contest at BlogAdda.com in association with TastyKhana.com. It looks mouth-watering :) I do something similar, but I add lime juice and a little sugar in it, too. 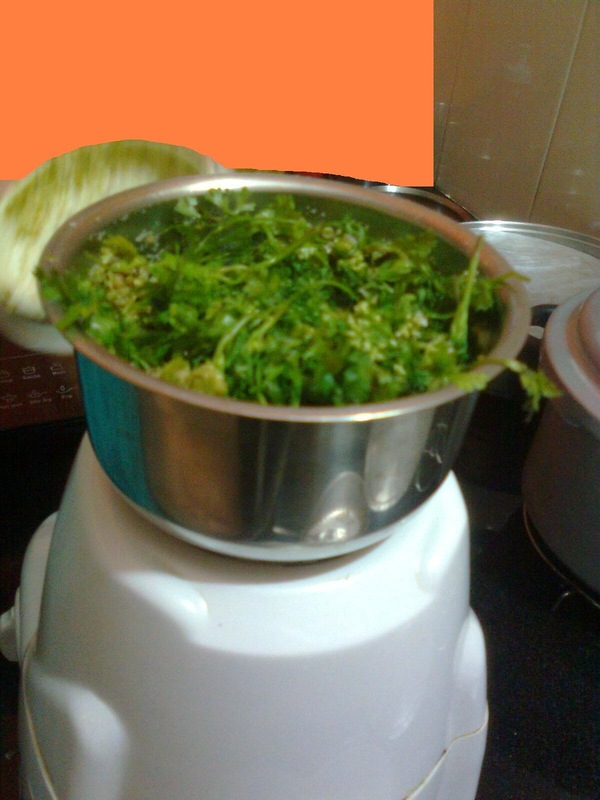 You have rightly mentioned the two important ingredients which are lime juice and sugar. 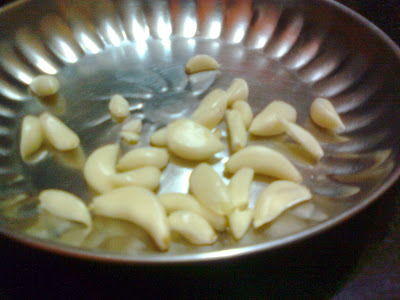 Both are very important to balance the acidity level of this simple chilli paste. 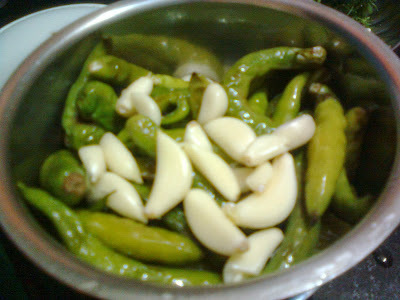 We don't add these two ingredients just because we feel that it reduces the spiciness of it. Thank you for reading it. Have a nice day. Lovely Pictures Pravin! :-) ATB! Gmail has incorporated new wallpapers.